Football is a game that often houses wholesome moments. Despite the recent trend pointing to scandalous incidents and moments that defied sportsmanship on and off the field, the heartwarming sights always pop up during games, regardless of the intensity of the match at hand. 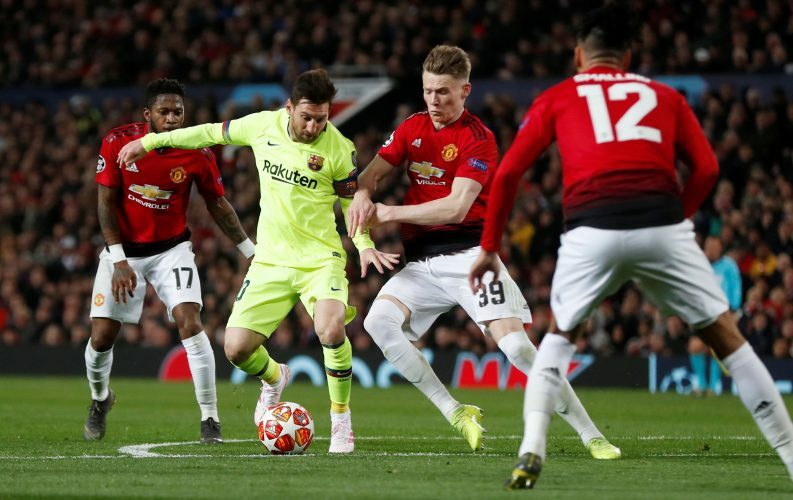 When the Argentine striker traveled to Manchester United for their midweek Champions League clash, it was Messi’s name that was repeatedly touted to be the one that the home side ought to have dreaded. However, Chris Smalling and company certainly defended well against the South American, while Ole Gunnar Solskjaer’s midfield contained the Barca threat well, a Luke Shaw own-goal being the only thing that disrupted the club’s flow, reducing them to a 1-0 defeat at the end of the leg. After the game, there was a pleasant sight to be seen, as Romelu Lukaku’s mother asked for a picture with Lionel Messi. A clip covering the encounter shows just how delighted she was at meeting the Barcelona player. One would think that having a son like Lukaku would fill her football joy all too well, but then again, it is not every day that one gets to meet the GOAT. Of course, the game could have certainly gone an entirely different way had Smalling not brushed against Messi’s face. The encounter left the no.10 bleeding strongly from his nose. The injury was later revealed to be one that caused slight damage to his nasal septum. This was in addition to a slight bruise on his eyebrow as well, both of which hampered his breathing and sight during the game, which was evident in the fact that he played rather sluggishly for the rest of the encounter.